Sri Lanka's jewellery manufacturers & suppliers meet the highest international standards; exquisite craftsmanship and sophisticated creativity blended with a modern touch receive first preference. 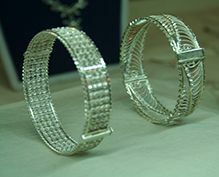 Over the centuries, Sri Lanka’s jewellery makers have refined their hereditary skills to the top standards. 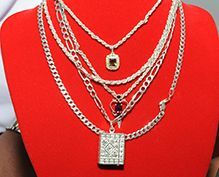 Exquisite craftsmanship and sophisticated creativity, blended with the modern touch today receives the highest priority. 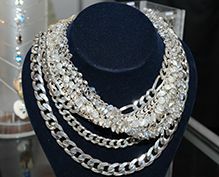 With the advantage of modern technology and a focus on design excellence, Sri Lanka is emerging as a design center offering high quality jewellery collections of silver, gold and platinum. 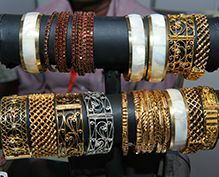 The increasingly segmented markets have made greater demand on the talented jewellery designers of Sri Lanka, who responds with a deeper understanding of the special needs of various markets, catering to a variety of sophisticated tastes. 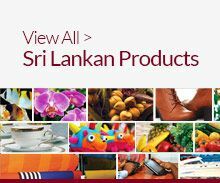 For those anxious to retain only the finest and of most authentic Sri Lankan items, jewellery origin is independently verified and gemstones are authenticated by a government authority. 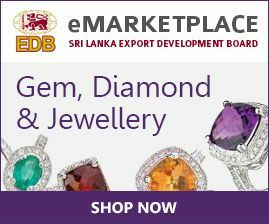 Copyright Protection Laws, GSP eligibility, ATA Carnet and Hallmarking Convention membership, an assay office and gemological laboratory, simplified and tax free import and export of goods, puts Sri Lanka at an advantage as a manufacturing and trading hub for gemstones and jewellery. Tourists to Sri Lanka have a wide choice of exquisite gem studded jewellery, be it in the capital city of Colombo, the southern town of Galle or Kandy in the hill country and the `City of Gems' itself - Ratnapura. Whether a shopaholic visitor, discerning buyer or a Royal Prince - beauty, intrigue, and brilliance are only a stone's throw-away. 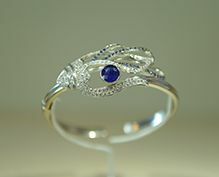 Jewellery is manufactured in 9 K, 14 K, 18 K gold, Platinum Sterling Silver or combination of 2 or more metals.